Muzaffarabad (Tuesday, January 02, 2018 – مظفرآباد):- The directorate of National savings of Pakistan is going to held balloting ceremony of 15000 Prize bond on 02 January 2018 that will be held at Muzaffarabad that is city Azad Jammu and Kashmir(آزاد جموں کشمیر), Pakistan. This is 73rd Draw of 2018 till so far in National savings history. The draw will be held on 02 January 2018 (02.01.2018) Tuesday at 9:00 am in the office of the National savings of Pakistan Muzaffarabad. 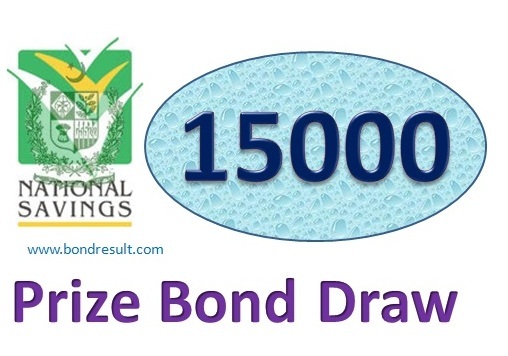 The full draw list of 15000 Prize bond January 2018 will be available to search and download at 5:30 pm by www.savings.gov.pk online for you. The wait is little bit and the draw time is coming soon on bondresult for you. So have nice time for Rs 15000 Prize Bond List Draw #73 Result 02 Jan 2018 Muzaffarabad with complete lucky winning numbers. The online result of Rs 15000 Prize Bond List Draw #73 Result 02 Jan 2018 held at Muzaffarabad city of AJK will come on time decided but we discuses some main features of the draw that will be public in next moments. The 15000 Prize Bond List January 2018 Muzaffarabad is the first one draw of the year 2018 form the four lucky draw that are scheduled in the Prize bond draw schedule 2018 in Pakistan. The Stat Bank of Pakistan will supervise the whole event of prize bond lucky draw on 02.01.2018 Tuesday at the office of the National savings of Pakistan. This prizebond of 15000 have very high amount of prizes after the 40000 and 25000 prize bonds that have more that it. The first prize winner will get the Lamp some amount of Three Cror Rupee (Rs. 03 M) that is for only one lucky winner. The second prize amount of One Cror that is equal to 10 Million Pakistani Rupee will be given to the three lucky numbers. The is very high amount of Money for you and me. The money makes the life real fine and easy for the Govt employee having little amount of salary. The expenses of the home, child and routine are rising but money value decreasing that made life hard. To meet these high expenses in life we should invest in some kind of business and shall get some extra value for life. The Prize Bond List 15000 Draw # 73 Result 2st Jan, 2018 on Tuesday will bring some life easiness if you got any one. The third prize of Prize Bond Draw rs 15000 Full List 2nd January 2018 held at Muzaffarabad city have the amount of One lac and eighty five thousand of money. The third prize have 1696 prize for the public and chance are equal for each of you. The prize bond schedule 2018 is sharing the full detail of the draw dates cities and common draw serial numbers that will guide you enhance your money investment in future year 2018. I am also waiting for Prize Bond Rs. 15000 Draw #73 Full List Result 02-01-2018 Muzaffarabad common draw because I have purchased two papers for this lucky draw. The draw held in Muzaffarabad city of Rs 15000 Draw Result Prize bond Full List 2nd January, 2018 is countdown in some moments and the wheel is still rounding to decide your winning numbers. The 15000 Prize bond list January 2018 (02-01-2018) announced by National savings of Pakistan (www.savings.gov.pk) will be shared very soon on this page Insha Allah. So keep visiting bondresult.com for all 15000 prize bond draws results list schedule and guess papers with quick and accurate draw updates online.